The gourd is the annual tropical vine originating from Africa and Asia. Its dried, lignified fruits are used for various, both decorative and practical purposes. The structure of dried gourd is more homogenous than the structure of the standard wood; it does not contain growth rings, fibers or knots. 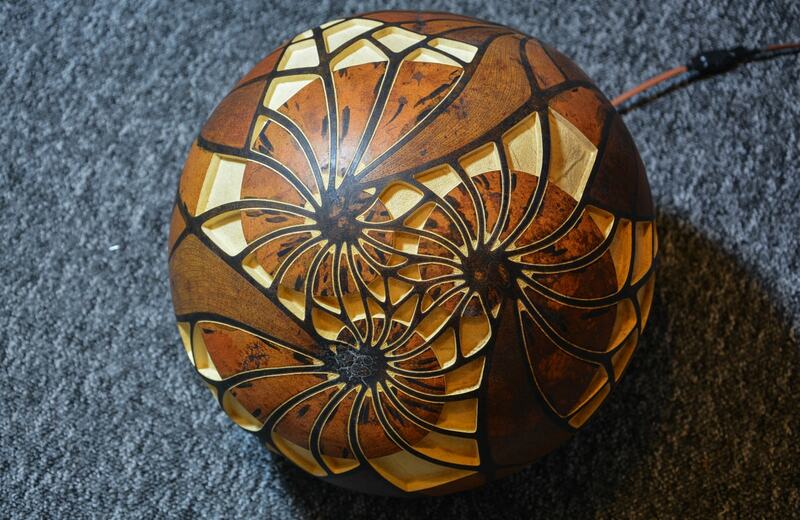 When light passes through the thin layer of the gourd’s wood, it becomes red/orange. For that matters, the gourd is kind of a phenomenon in nature; it gives enormous processing possibilities. 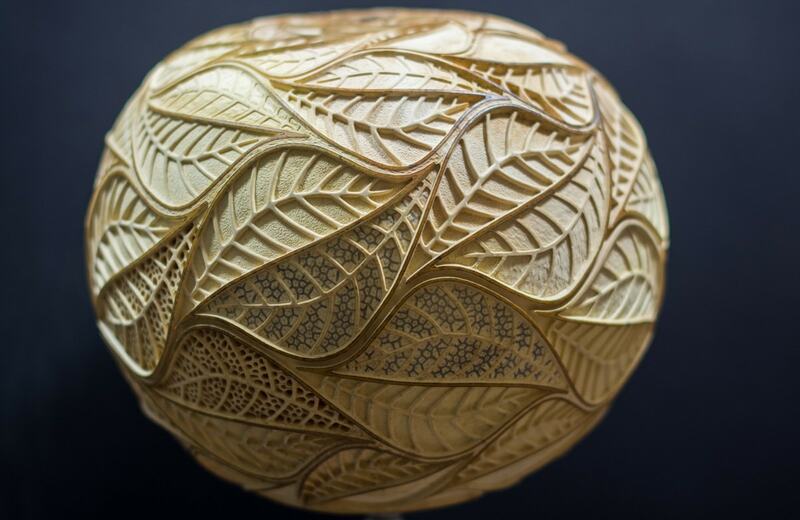 As gourd is created by nature, each one is one of a kind. 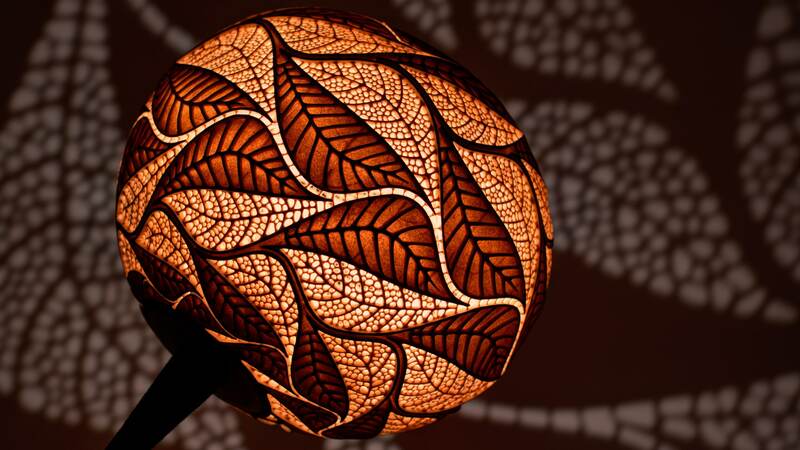 I create lamps using gourds from Senegal, Guinea, and Mali because of their finest quality and shapes. 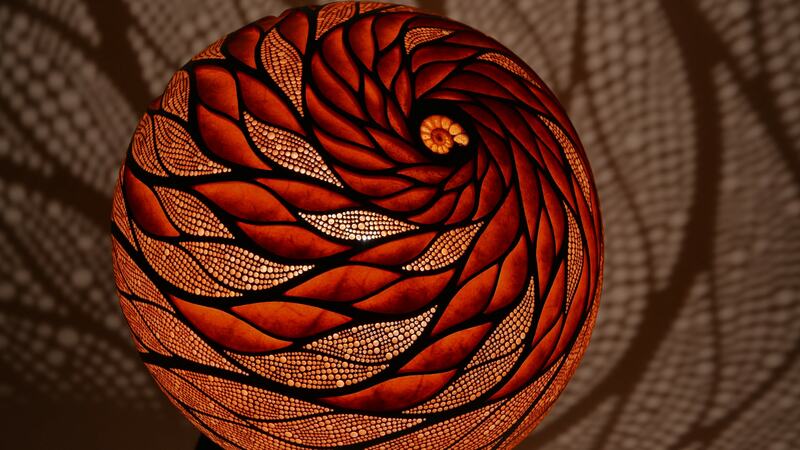 Each of my gourd lamps is fully handcrafted. The first stage is the preparation of the gourd: skinning and cleaning the inside. I meticulously design the pattern using grids, geometric constructions, curves, figures and solids, all sketched with mathematical precision. When the pattern is outlined and charted, I engrave the contours. The next steps are precise marking the place of every single hole and painting. The most difficult and labour-intensive stages are carving and drilling. 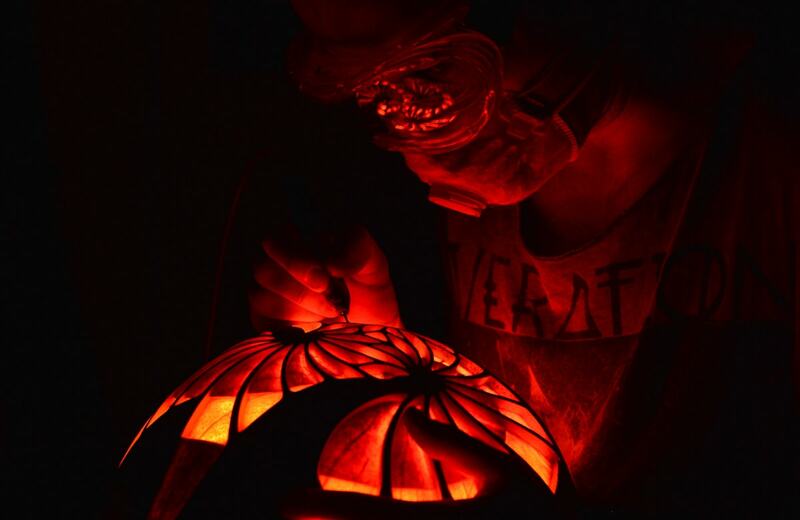 I carve the gourd with precise high-speed air turbine and dental bits (read more on my BLOG). 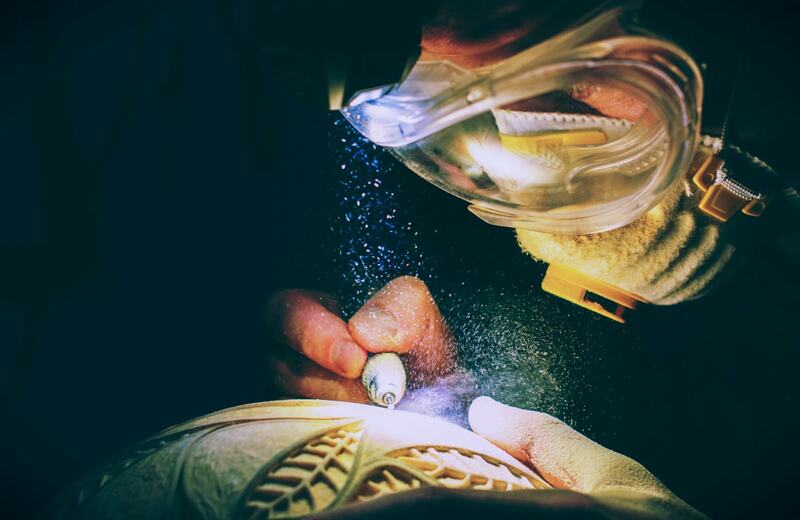 Some parts of the work have to be done in darkness to control the depth and thickness of the wood (it can be less than 1mm thick at some places). To achieve the best possible light effects every single hole must be drilled precisely in the direction of the light source. 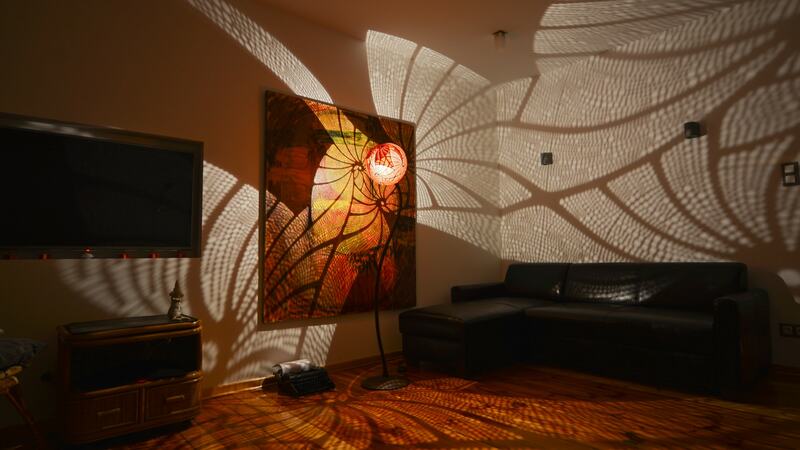 In some of the bigger floor lamps, it can be nearly 30.000 holes. 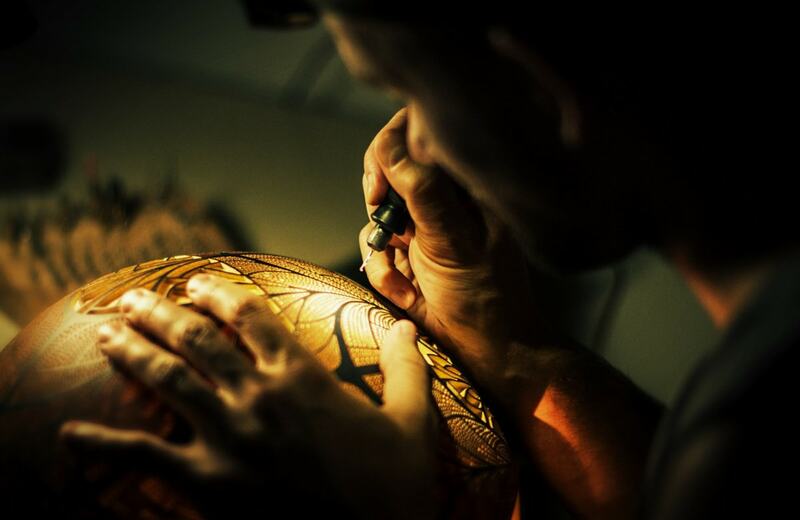 The last stages are the protection of the gourd and creating the base. Of course, the whole process may vary depending on the particular lamp. Every Calabarte lamp is created only by me. 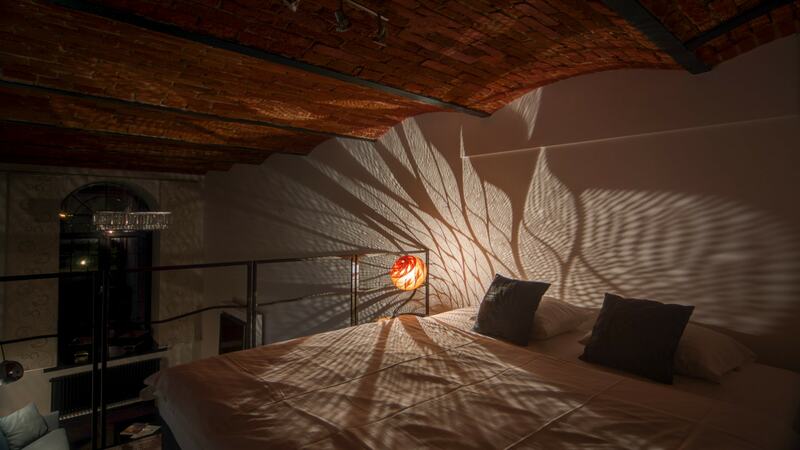 Only the wooden bases of the floor lamps are created by Lech Kostyszak from the Unique Wood Design. For me, the quality, the perfection of the finished lamp, self-fulfilment, and satisfaction from my work are most crucial – they are more important than the number of lamps I can create. 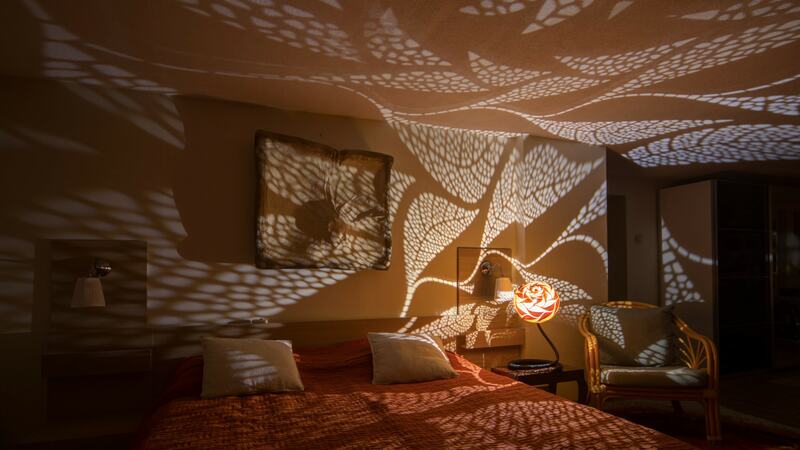 That is why I never repeat their patterns; each of my handmade lamps is matchless, extraordinary and will not be imitated in the future. 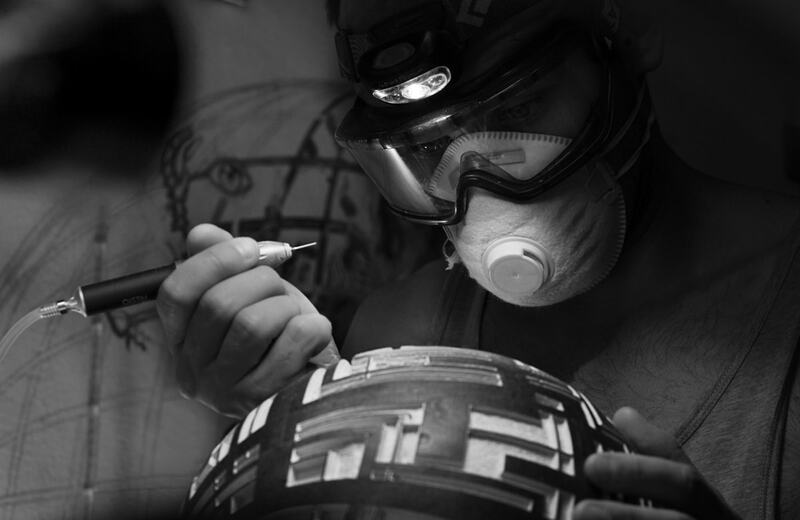 Creating this handcrafted lighting requires patience and precision at every stage of the work. 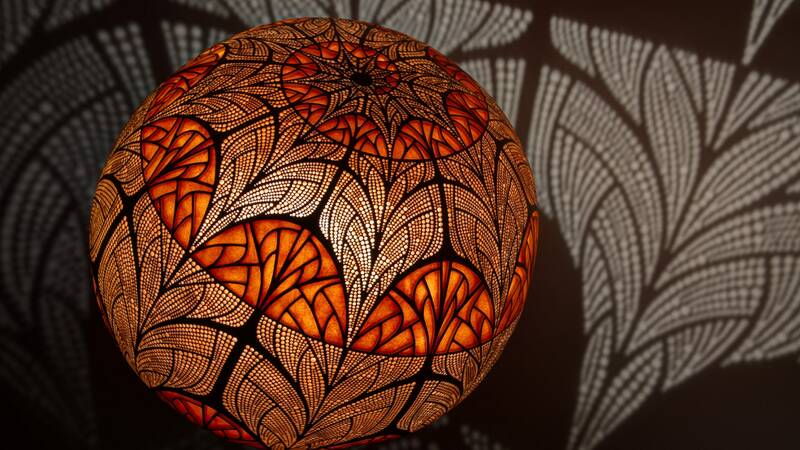 Making one lamp usually takes 3-5 months of work so I create about 2-3 lamps per year. 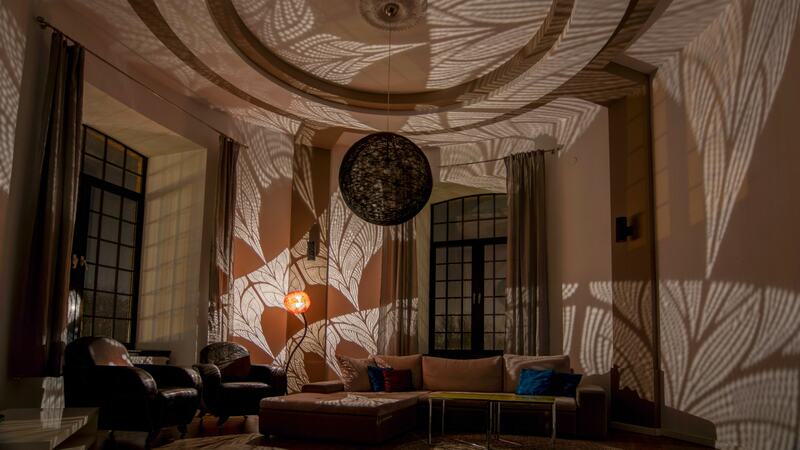 More interesting articles about creating my lamps you can find of my BLOG. 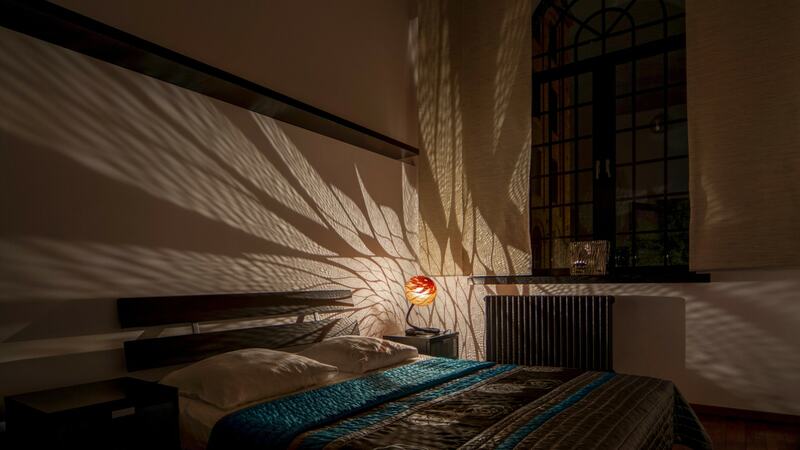 By day Calabarte lamp is a unique sculpture. 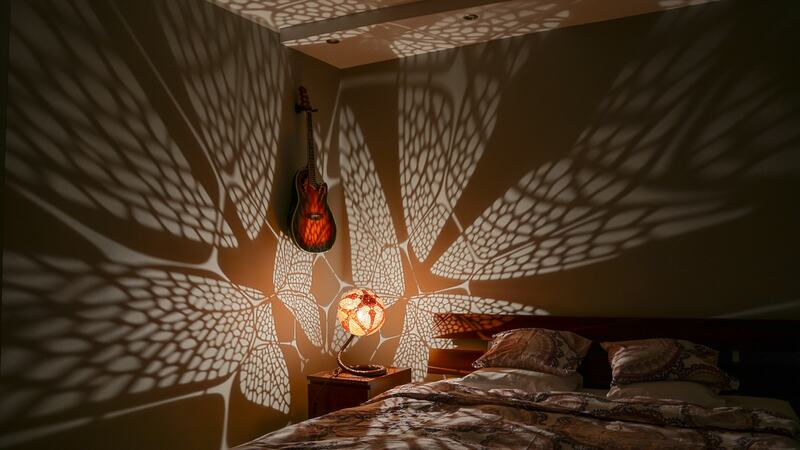 However, at night it comes alive by the light seeping through intricately carved wood and passing through thousands of holes. 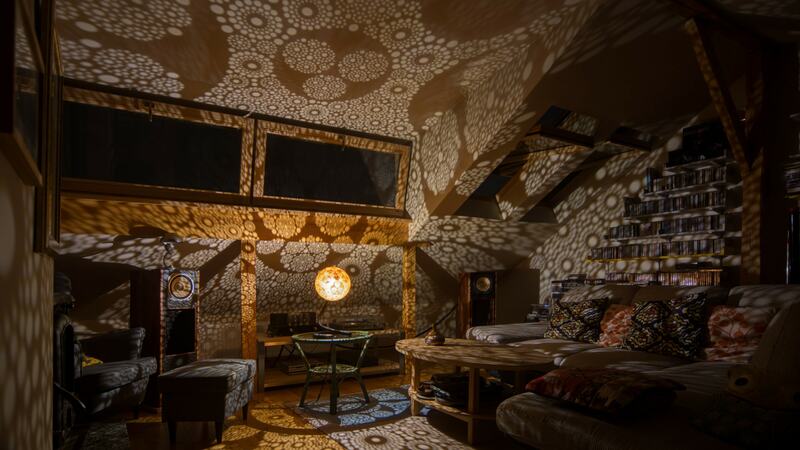 Ornamental shadows fill the space, casting the patterns on the walls. 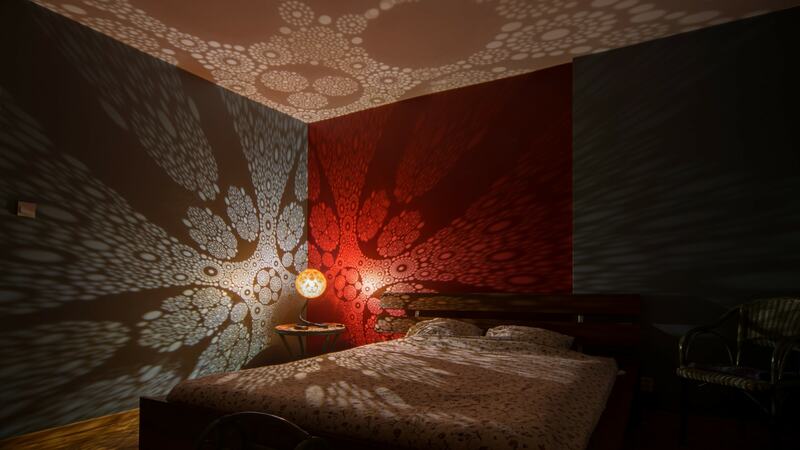 It can create a dreamlike, romantic atmosphere in the bedroom as well as calm and peaceful vibes in the home office or living room. 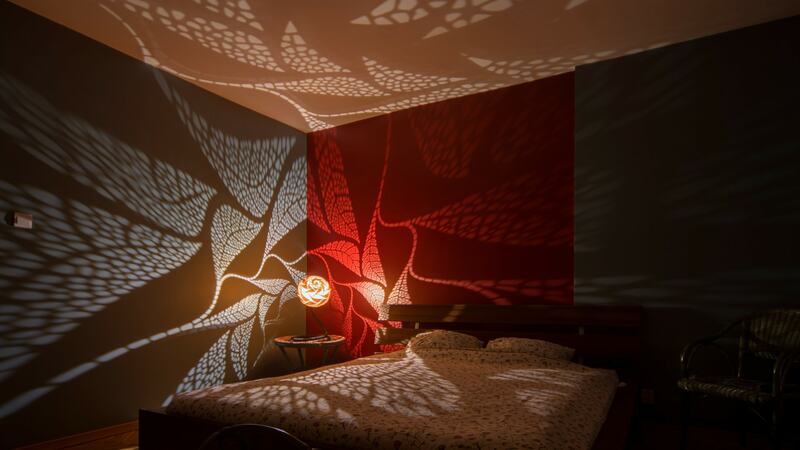 Though I am the architect of the lamp’s shape and pattern, the artisan who puts life in it, the light is a surprise, an illusion made real; it never brings boredom for it changes with every move of its source. Since 2018 I use LED, 12V, light bulbs in my lamps. If needed, an appropriate type of plug adapter can be added. I am very happy that apart of many Internet publications, my lamps were also presented in the printed magazines from countries such as the USA, Morocco, Israel, China, Malaysia or Jordan.